It looks like the die on the left is for a 32 Winchester Special . That is not the same as a 32-40. The dies must have been misplaced in the box. I would contact either the dealer that you bought them from or Lee. The expander plug I mentioned should be in the sizing die. It would be keeping the decapping pin in place, as well. When the case is pushed into the die, the decapping pin knocks out the old primer and the sizer squeezes the neck down to undersize. When you pull the case out of the die the expander plug pushes the neck out to size. The 32 Win SPl seating die will work with the 32-40, but the 32 Win Spl sizer die is all wrong. See if Lee will fix that for ya and get you a Lee Factory Crimp die. You may not find one for the 32=40, but the 32 Win SPl should work as they are the same nominal length and diamter. Try before you buy. Shoot me a pm with you address. I'll be back home in a week and will loan you mine. They can be pricey, though not always. Does the die on the left say 32 Win SPL? If it does, its the wrong die for your rifle. 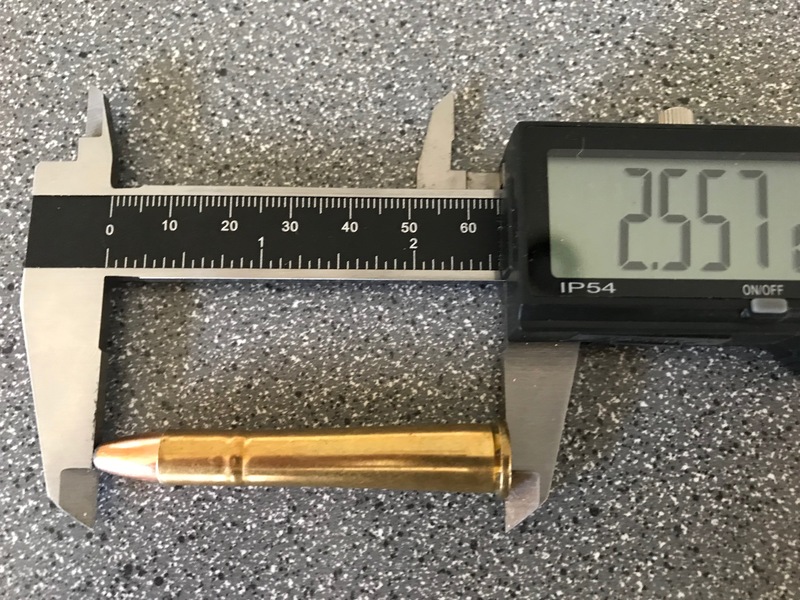 How does this .32 caliber bullet look (for comparison, a .308 inch 147grain FMJ-BT)? Does it look like the correct type of bullet for use in the .32-40? Give Lee a call on that one! .32 Win should be for the .32 Special! Well, I just checked my dies and both my Lee .32-40 AND .32 Special bullet seat dies say .32 Win. B4!!?? Last edited by Big Al1; 04-16-2019 at 12:20 PM. I am starting reloading for an old M1893 Marlin .32-40. I have acquired some old production (yellow box) Winchester cases (new, unfired) and some once fired Winchester "John Wayne" nickel plated cases. The reloading manual said case overall length is 2.13 inches ith cartridge max overall length of 2.500 inches. I am using some Speer .321 diameter 170 grain softpoint jacketed bullets. Any thoughts on what the problem is here? Incorrect bullet? Case specifications are wrong? I agree with others. You should try cast bullets. Plain Base for traditional loads and possibly Gas Check if you want/need more velocity. 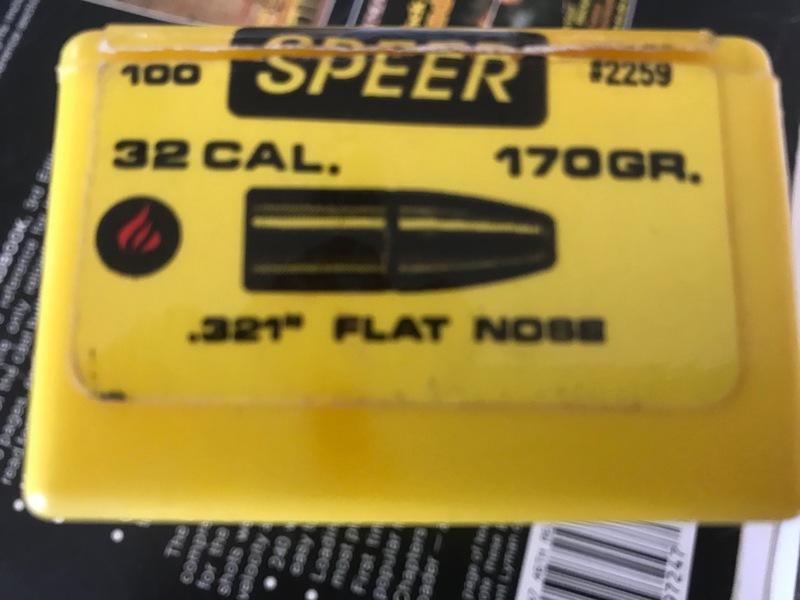 The nose lenght on jacketed bullets is too long if your cases have the traditional ring that is intended to limit bullet seating depth. The only other option would be to make your own cases from 38-55 brass. You can pick up some starline brass and use your 32-40 full lenght sizer die to form the 32-40. Your formed case will not have the bullet depth seating ring stop possibly allowing you to seat a little deeper. If you go the option of forming your own, get the shorter 38-55 case version. It will stretch and still need triming to the correct lenght. Use a quality lube like Imperial wax and only size about 1/8 - 1/4" at a time turning your die down two turn each cycle until fully sized. Last edited by PoopDeckPappy; 04-16-2019 at 10:58 PM. Thanks everyone for the comments and feedback on this! 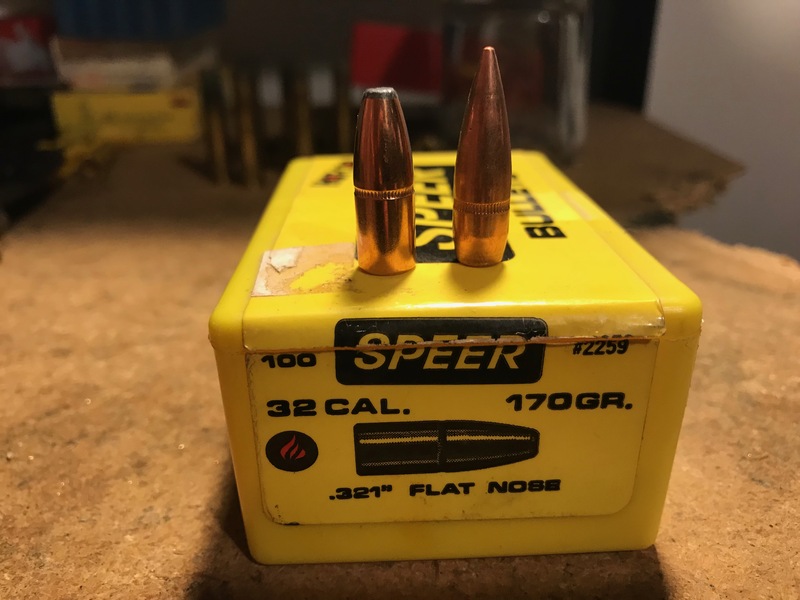 Suggestions for a source for cast bullets that are correct for this cartridge? Last edited by Land Cruiser; 04-16-2019 at 10:31 PM. A question on 32-40 cartridge overall length and bullets.